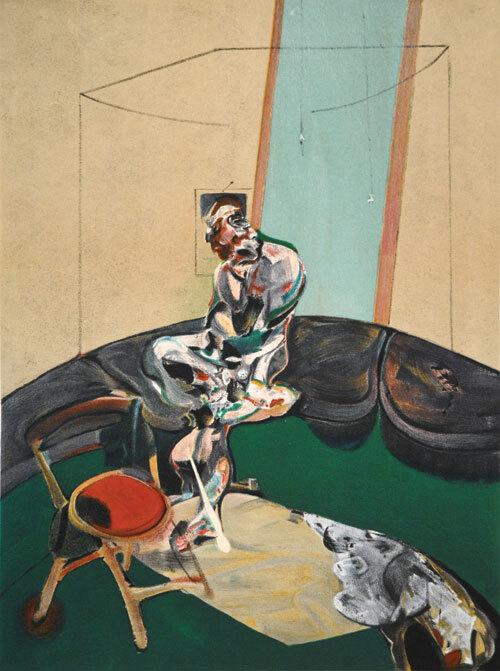 There are less than 50 different Bacon lithographs, all of which are after paintings. While Bacon did not directly execute the lithographs himself, he was always intricately associated, allowing only the world's greatest lithographers to be involved in the production process. But he loved the idea that his work could be disseminated to an audience who would never be able to afford his original paintings. His signed lithographs, in editions of of up to 250, now fetch between £5k and £30k each. The lithographs featured here are the four unsigned examples from an open edition (we think about 1000 copies) published in 1966. Price inclusive of framing and UK delivery. Please contact us for overseas delivery.